Faced with problems? Do check out some of the most common problems faced by our customers. Why does the display only shows "Searching"? Check that SIM card has sufficient credit. If the SIM card does not have credit, the system will stay at the "Searching" network stage as it couldn't access to the network. Some carriers such as AT&T sells SIM cards plans such as Voice-only or Wearables-only. This will not work on our devices as we require the SIM card to be 3G enabled with Voice & Data plan. If you have APN information of your SIM card provider, you may proceed to add the APN settings manually. Do ensure that there is 3G and/or H+ logo on the top left corner of the WatchPhone before doing so. Instructions can be found here. If you see an "R" instead of 3G or H+, it means that your network could be supported and you might need to switch on "Roaming" function on the WatchPhone. To do do, remove the SIM card that is showing "R", insert another SIM card that will show 3G/ H+, and go to "Device" to switch it on. After which, insert back the SIM card that shows "R" and turn on the WatchPhone again. If successful, it should load up normally. If required, do edit the APN settings. Why is my WatchPhone always in the Detecting Sim Card screen? Your SIM card may not have been detected by the WatchPhone. Please power off the Watch Phone, remove your micro SIM card, ensure that you have the SIM card inserted with the gold chip facing up, with the SIM card tool provided, insert the SIM card fully in (you should hear a soft click sound) and power on the WatchPhone. It could also mean that your SIM card service is not compatible with the WatchPhone. WatchPhone only works with 2G and 3G networks. If you are seeing "Re-start the Watch Phone after inserting in the SIM card." means SIM card is not inserted into the Watch Phone properly. If you do not hear a soft click sound when you push the SIM card in with the SIM card tool, it means the SIM card is not fully inserted in and the Watch Phone will not be able to read it. Double check with your SIM card provider and/ or the plan that you subscribed (for postpaid SIMs) if they support 3G devices. For prepaid cards, do ensure that there is sufficient credit on them. There are times where the bandwidth they use are not supported by our Watch Phone. Thus, buyers need to check on their own that the telcos they are using support 3G and the bandwidth that the watch phone are using. 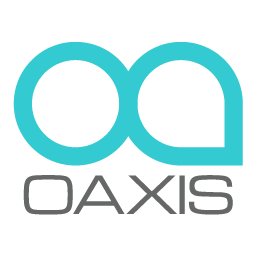 Oaxis will not be responsible for any subscription fees or charges that is caused by the users' failure to check on their SIM card provider bandwidth. Why does the WatchPhone ask for my PIN Code? Some SIM card may be locked. You will require a mobile phone to unlock the SIM card by inserting the locked SIM card into the mobile phone. Please note that different models of phones require different steps to do so. See more here. Why can't I call the watchphone from my smartphone? The SIM card used in the WatchPhone must have Caller ID enabled due to security reasons. The Watch Phone uses the Caller ID to determine whether the caller is on the white list. Besides the admin phone, all other numbers must be added into the Family Members list in order to call the WatchPhone. To do so, open WatchPhone App > Settings > Family Members > Click on top right corner > Add Contact. Ensure that there is no spacing in any of the telephone number entered in the app. i.e: 9xxx xxxx must become 9xxxxxxx. That applies to the phone number for the Watch Phone, or the phone number of the parent phone. Why does my Watch Phone battery drain so quickly? The following two major factors can cause high battery consumption:  screen-on time  GPS reporting frequency. We will highly recommend parents to set the Watch Phone GPS location reporting to every 60 minutes. To do so, open the Watchphone App on your mobile phone (note: only the admin mobile phone can edit this setting), click on the Settings button > Tracking Mode > Power Saving > Select your Tracking period > Save. I am able to call but not able to access the GPS, Message, Alarm functions. For customers who can call the Watch Phone but not able to utilise other functions, this means that you have a non-data SIM card. Or there is insufficient credit on them. Users will usually see "Searching" on the Watch Phone. Solution: Check with your telco if they support 3G devices. Also, ensure that there are sufficient data on your SIM card. Why can't it charge and why does it not charge up to 100%? As we are using a magnetic dock to charge your watch phone, there are times where it is not placed properly. You will know that it is charging when you see a red battery icon with the word charging below it. Leave the watch phone on and charge. Turning it off might not charge the phone. I can't set any alarm on the Watch Phone. Why? Only the parent admin phone ( aka the first phone that binds with the Watch Phone) can set and edit Alarms. If you are not the parent phone, you can only view the Alarm settings. On a brand new device that has never been paired before, the QR code appears automatically when switched on for the first time. The first smartphone that scans the QR code is automatically assigned as the Admin smartphone. Only an Admin smartphone has access to several functions of the WatchPhone. To add another family member, please send an invitation via the Admin's smartphone app. Besides the admin phone, all other numbers must be added to the Family Members list in order to call the WatchPhone. To do so, open WatchPhone App > Settings > Family Members > Click on top right corner > Add Contact. Why am I unable to scan the QR on the device? Make sure you have downloaded the correct app for the device! Many times, we found that our customers have been using WatchPhone's app for myFirst Fone and vice versa.